My first link above is Day 1, the second is Day 2. Still working on the rest Had such a fun weekend. i just finished Part 1! haha…. 2 or 3 more to go…. I have a few links to share! I had several posts and probably have a few more left in me…but here are the links I have for now. What a wonderful weekend! I'm sure I'll have at least two more… but one is pretty heavy and might take all week to write! I had a wonderful time! Something that has helped motivate me to take my blog places I wasn't sure I could. Thanks Roni! I have yet to make official recaps but these were during the conference when I blogged. Thanks! Looking forward to checking out everyone else’s! The first link I posted is to the video that I made with Sana of http://www.supersana.com/ Gabby of http://gabbysgfree.com/ and Ericka of http://www.sweetlifeericka.com/ The second is my day 1 recap, Days 2 and 3 should be done by tonight! Such an inspiring and renewing weekend… thanks to everyone for sharing your stories! Roni- you did such a fantastic job pulling this together. I can't wait to do it again! Linking up part one, and I'll be back with part two. As usual, I am able to better express myself in words than I am in person. Thank you Roni for creating such a powerful event…I am honored to be a part of it! Thanks so much Roni for an amazing weekend. It felt so good to be understood and not feel alone in this journey. Thanks Roni for an incredible weekend! My post is mainly pictures and I plan on doing a recap of the sessions later this week. Thanks again! My post was how Fitbloggin inspired me to become a better me! Now look out for The Get Fit Diva Version 2.0! Thank You Roni for a lovely weekend! Three posts in three days! Thanks so much Roni for all of your fabulous organizing and directing! Even the chaotic photo shoot came off well! I'm so glad that I am off work this week – I'll have plenty of spare time to read all of these recaps! Thanks for the awesome conference, Roni! I'm so glad that I was able to attend even though it was only for 2 of the 4 days. My first post was thank yous and a brief recap with pics. My second post was the words I could not say in the Self Acceptance session. I'm grateful to all who spoke. You gave me the courage to write this post. It was an amazing! I hope i can go to next years also! So happy I made it this year! See you all in June!!! Sunday's post featured fitbloggin workouts, Monday's featured the fabulous food and Tuesday's post features a small list of tips. I learned so much there…loved it. Finally got to write my FitBloggin recap! Thank you, thank you, thank you to Roni and family as well as all of the wonderful sponsors for such an amazing weekend! 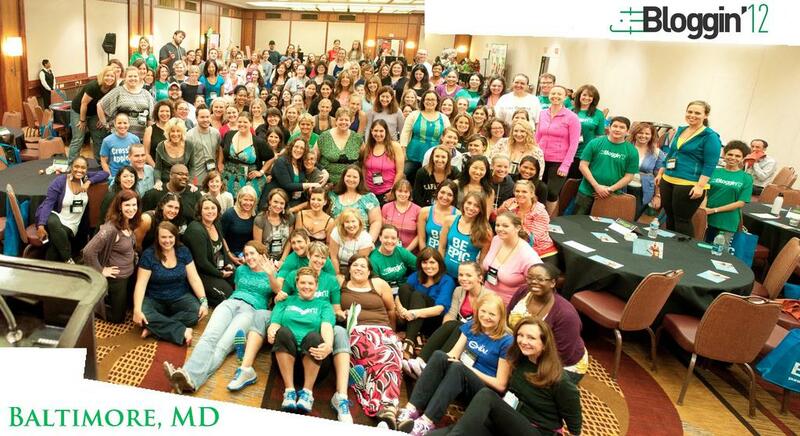 Fitbloggin reminded me about the power of community. Thank you Roni and the entire Fitbloggin team..
Recap of what I learned at Fitbloggin! I feel weird posting mine above, because it's not a recap per se, but it is one of the biggest things I look away from the conference, so I'll post it here. Sorry I keep posting them but I have a lot to share about how awesome fitbloggin was. Had an UNBELIEVABLY amazing time! Sorry it took me so long to get my recap (novel) up…there's just so so much to share! Can't wait 'til next year! Loved meeting you all! As a former Baltimore resident, my posts were 50% about the city, 50% about the conference. Thanks for all the tips and fun! My first link is about the Fitness part of FitBloggin. Surprise surprise I really enjoyed despite my bum knee. Thank you, Roni, for an amazing conference! Great experience. I couldn't find a way to express it all, so many ways to look at it and share it. You just have to be there. Such a wonderful weekend with a fun and fantastic group of people! 2 more from Simplifying Sam! Better late than never I finally got my review / summary of what Fitbloggin meant to me. I took a while to find the words but it finally happened. I hope you enjoy it! Looks like a bloggin' blast! So late to the linking party, but I added mine. Roni–you knocked it out of the park! I posted Thursday and Friday (minus the keynote) recaps. I still have three more coming! Here’s Part One of my Recap! Miss you guys! I LOVED attending Fitbloggin 2012 and can’t wait for next year’s event in Portland!